TIMONIUM, Md (WMAR) — Honoring the fallen by living life to the fullest. On Saturday, dozens of people participated in the first fallen heroes workout in honor of fallen Baltimore County Police officer Amy Caprio, who was killed in the line of duty last May in Perry Hall. Law enforcement officers from nine states traveled to Sweat Performance in Timonium to raise money for the Amy Caprio Scholarship Endowment Fund who's goal is to help build a culture of camaraderie. "I think what's happened over time is society and even the law enforcement community we've kind of become desensitized to the amount of law enforcement officers that have fallen and I don't want this to be a social media post, I really want this to hit people and really impact them." Through t-shirt sales alone, over $2,500.00 was raised. 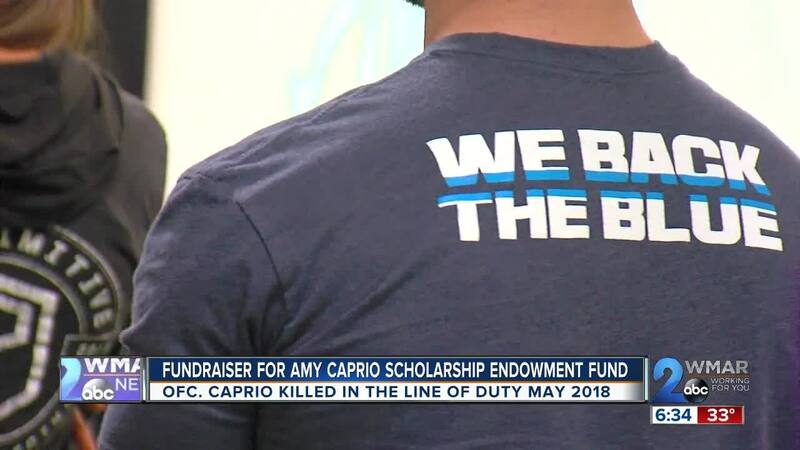 The money will be used to assist law enforcement and the families of fallen officers, and those who need aid and wish to attend Towson University , Caprio's Alma mater.